Ponting says Australia will need this summer if they hope to stop firebrand Virat Kohli during the upcoming four-match Test series against India. Known for his fearless and intimidating style of play, former Australia skipper Ricky Ponting has once again dished out a few mantras for the hosts ahead of highly-anticipated Test series between India and Australia. Ponting instructed that Australians should try to get under his skin rather of Indian captain Virat Kohli instead of sitting back and being bullied by him. 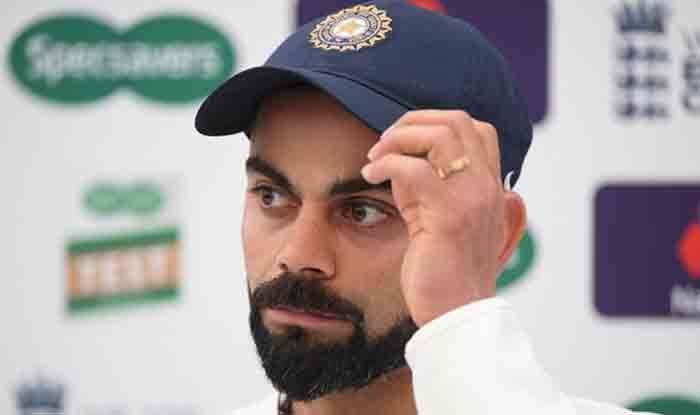 He feels that Kohli can be “rattled” in the four-Test series beginning on Thursday, while former Australia batsman Dean Jones has adviced against provoking Kohli. “Mitchell Johnson definitely rattled him a few times with some good hostile bowling and some good hostile body language around him. So, I would not sit back and let anyone bully,” Ponting told cricket.com.au. “The way we go about playing cricket, especially at home, it is about good strong body language. That is the way Australians have always played their best.” Ponting, under whom Australia dominated world cricket, said it would be “rubbish” if the current side doesn’t play with an aggressive mindset. “You have to able to impose yourself on the game in a way other than using your mouth. You got to use your actions and skills.” India lost the four-Test series 0-2 four years ago but Kohli amassed 692 runs at an average of 86.25, including four centuries. Had he been the captain, Ponting says he wouldn’t have allowed Kohli to get a good start. “With someone like him who likes to score freely, he has obviously got a big ego, there are other things you can do. Don’t let him score boundaries early on. Try and ball tight consistent stuff,” he said. “He also likes to run the ball down to the third man so maybe play around with guys behind the wicket in different areas, just get inside his head as to what we are trying to do. “Another thing I will be doing is going back and looking at who has had the most success against him and why. The first one that comes to mind is James Anderson. He seems to trouble him the most,” added Ponting.